You're probably familiar with the three ''L's'' in Real Estate. Location, Location, Location. How about the three ''P's''? Privacy, Privacy, Privacy! 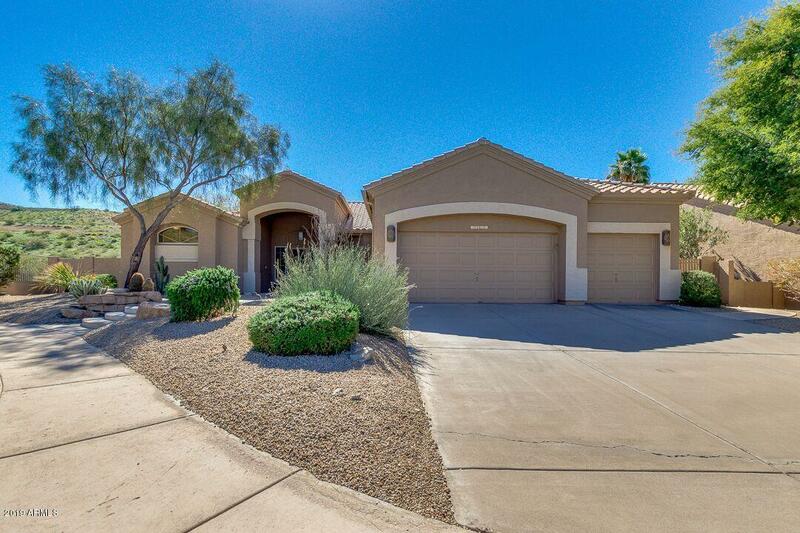 This private, breathtaking, secluded end lot on a cul-de-sac can't get any better than this. New roof 2019!!. Relax and retreat with a cocktail by the Pebbletec HEATED pool, surrounded by mountain preserve views on two sides of the property. 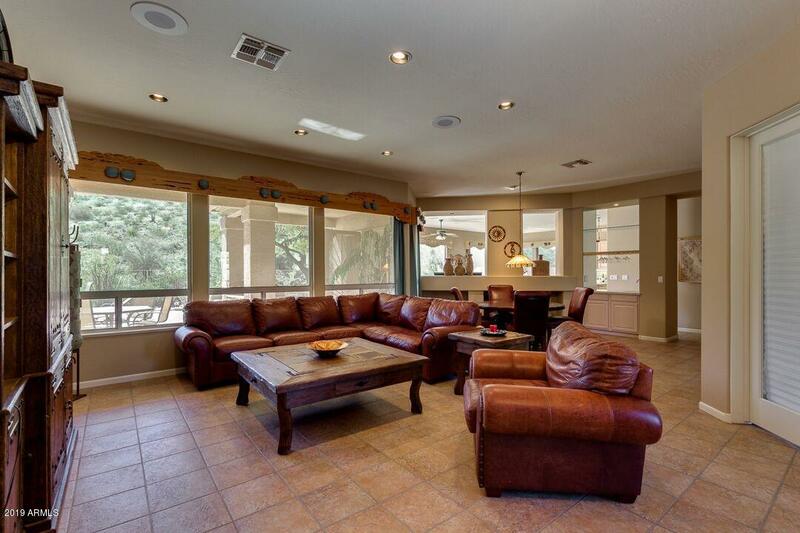 Spacious outdoor living area is perfect for hosting parties and has a Built-in BBQ area. Side of the house features nice fire pit. 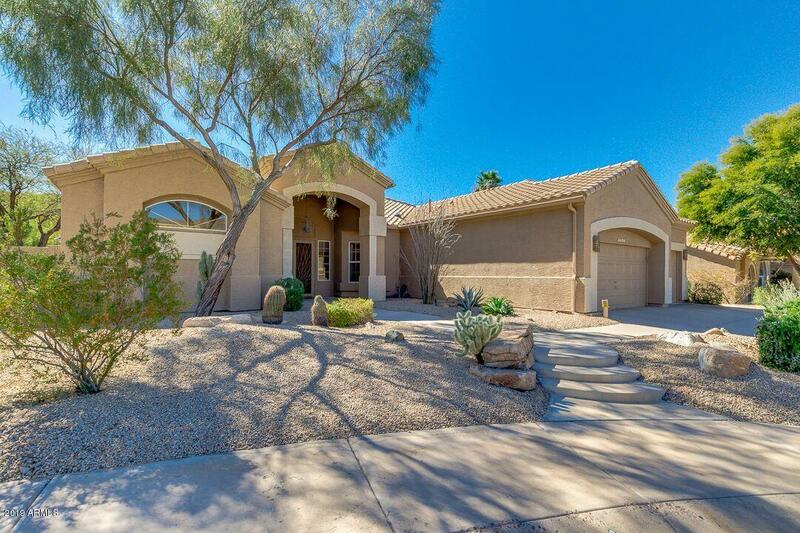 Meticulously maintained home features open single level floor plan with split bedrooms. Large kitchen island with Corian countertops, breakfast bar and tons of cabinet space. 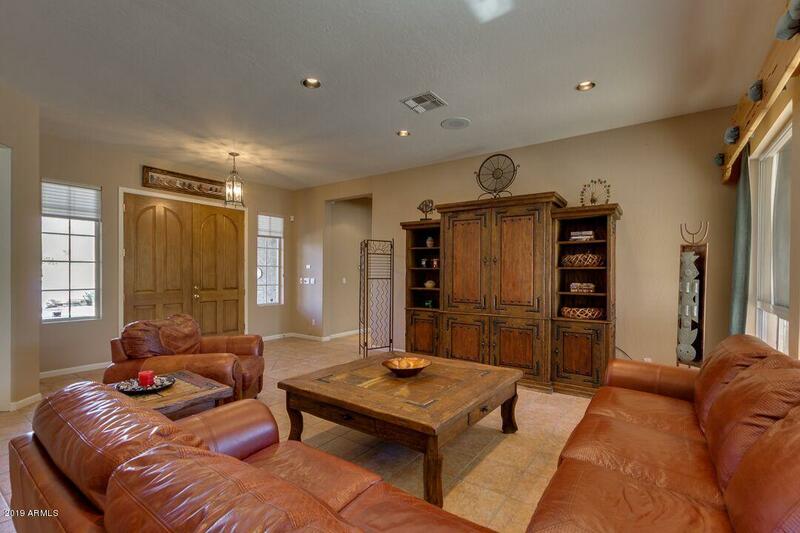 Large Dining area features cozy fireplace and access to backyard.